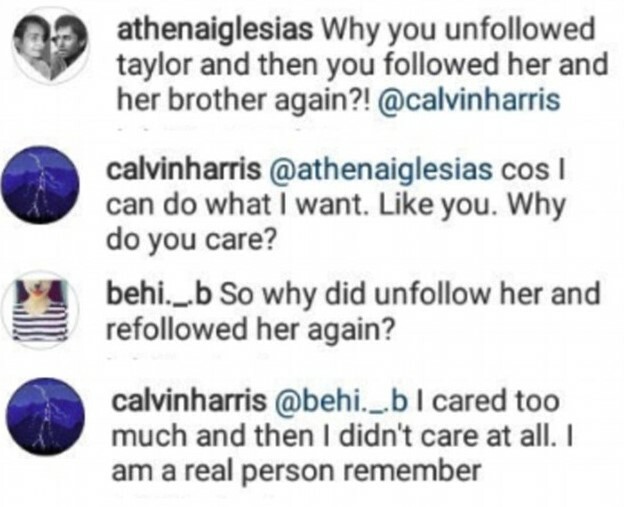 Remember Calvin Harris’ and Taylor Swift’s extremely publicised split that no one should care about but for some reason everyone still does? Well, in news that we should be ashamed to be interested in, the Scottish DJ has apparently spilled some major details on his split from T Swift. According to fan screen grabs taken of comments made from his account, Harris replied to a fair few Instagram users who asked him about the pair’s break up and the singer’s new romance with James Bond favourite Tom Hiddleston, the Mirror reports. 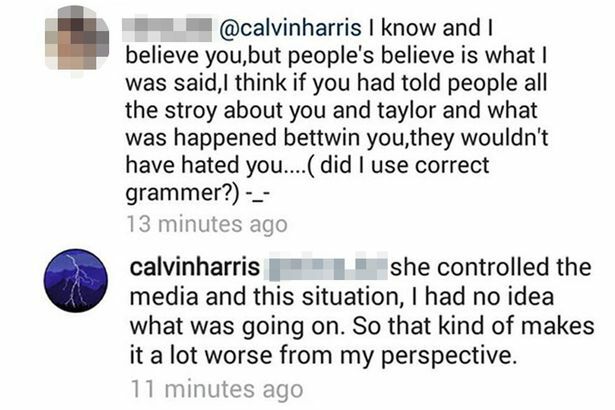 When a fan told Harris that he should have told his side of the story after their split, Calvin responded saying T Swifty ‘controlled the media and this situation’. Low blow from Taylor. 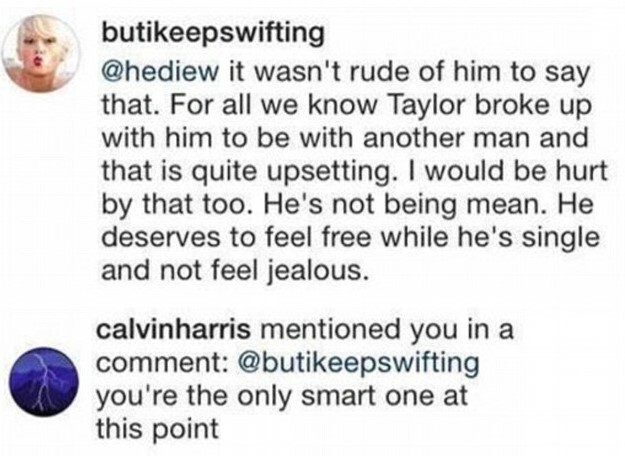 In reply to a fan who claimed he was ‘jealous of Taylor now because she’s moved on and found a new boyfriend,’ he really hit back at Swift by claiming that he’s ‘not jealous’ but ‘free’. And he wrote ‘free’ in all capital letters, so you know he’s serious. 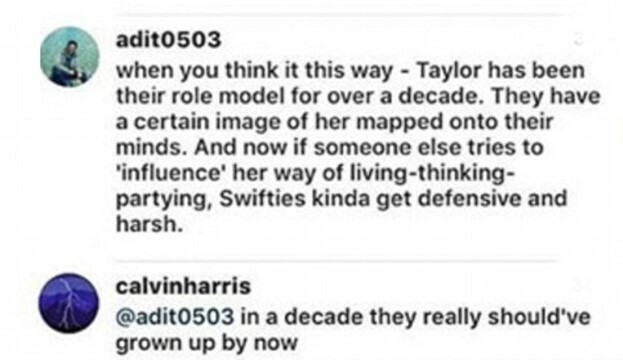 And in the best comment, he even said Taylor Swift fans should ‘grow up’. The biggest bombshell according to people who care about this relationship? Harris giving credit to one fan account that said Taylor ended things to ‘be with another man’. But despite now-deleted tweets being screengrabbed by fans, Entertainment Tonight reported that the DJ’s rep denied he wrote the comments, but stopped short of explaining who did. So there you have it. Rumours squashed. According to Harris, or someone posing as Harris, Taylor Swift isn’t as great as everyone thinks. Game changer. Did Calvin Harris say Taylor Swift “controlled the media” after their split? DJ is now "free"